I've started going back to yoga with a goal of 4 times per week and I've started to transition my beauty products to green, all natural products. Being a better version of myself doesn't stop at just exercise or what I eat or what I put on my body–it's a combination of it all. Saturday afternoon struck and I had a hankering for something that tastes like fall. I've had a continuous rotation of pumpkin flavoured treats (pumpkin muffins, pumpkin loaf, pumpkin sandwich cookies, pumpkin granola...) on my counter for the last two weeks so I figured it was time to switch up my flavour combination. 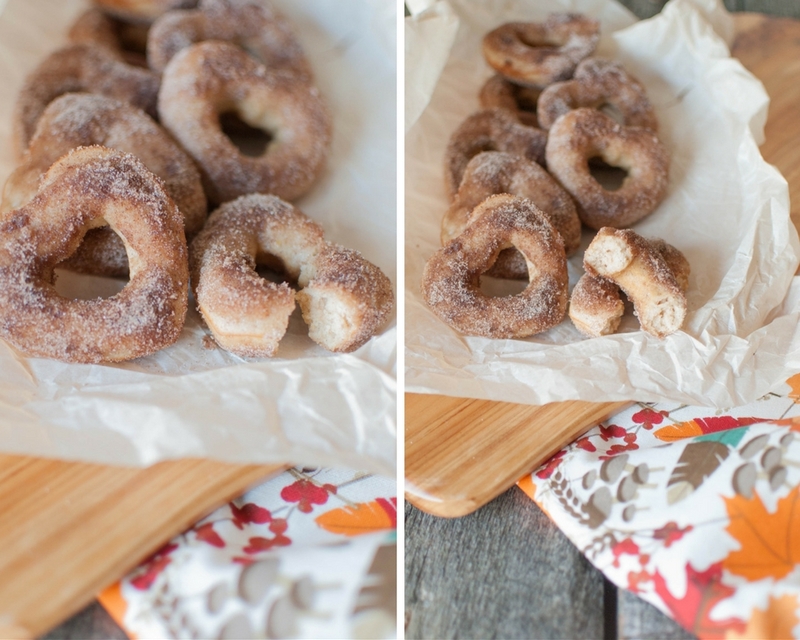 The apple cider donut was born! Now, I can't take any credit for this recipe. I borrowed it from The Faux Martha. They are cakey and sweet and the hint of apple is oh-so-perfect. My adventurous side stops at the thought of deep-frying donuts. I live in fear of my house burning down so you wouldn't catch me doing anything that could assist in that fear coming true. That's the great thing about these donuts–they're baked and they come together really quickly. From conception to putting-them-in-my-mouth was maybe 30 minutes tops. As a completely added bonus, these are heart shaped because that is the only donut pan I have! So eat your donuts and love every minute of it because indulging in a sweet treat may just be what your soul needs today. So what are you waiting for? 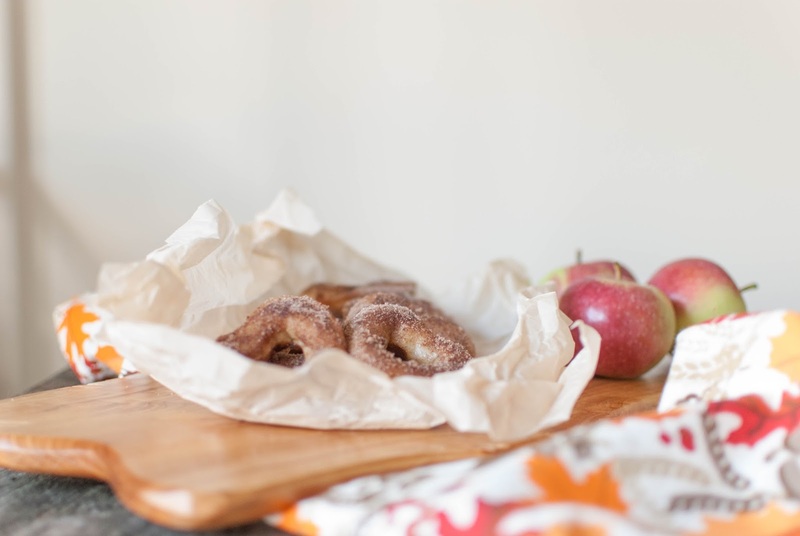 As much as I love the apple cider donuts from the apple orchard, you can make them yourself and eat them for every meal! 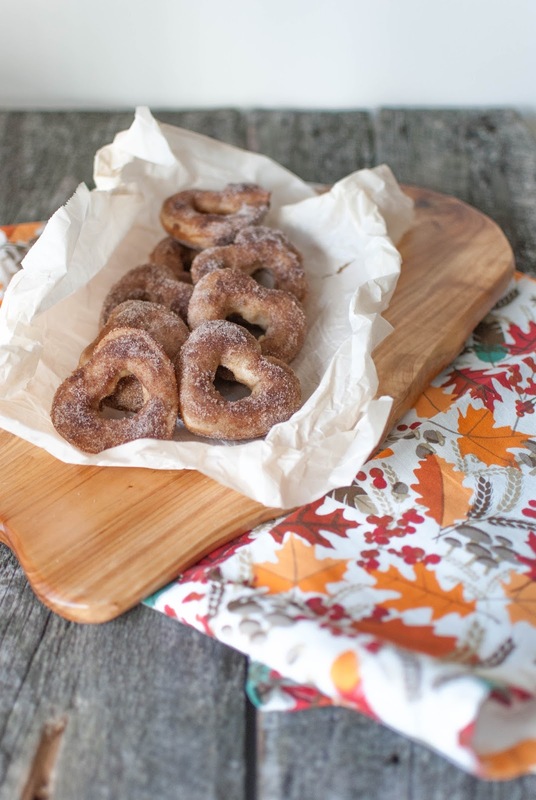 Run to the store and grab what you need and make these for breakfast tomorrow! Please! 2. In a small pot, add butter and cider. Whisk until combined and set aside to cool. 3. In a medium bowl, whisk together flours, baking powder, salt, cinnamon and nutmeg and set aside. 4. Into the butter mixture, whisk in sugar, honey and egg until evenly combined. It's important that the mixture is cool so the egg doesn't scramble. 5. Add the wet ingredients to the dry ingredients and stir just until combined. Don't overwork! 6. In a greased donut pan, pipe the batter evenly into the donut wells. 7. Bake for 7 minutes. Remove from oven and allow to cool for 1 minute before moving donuts to cooling rack. 8. To make the topping, melt butter and stir in apple cider. 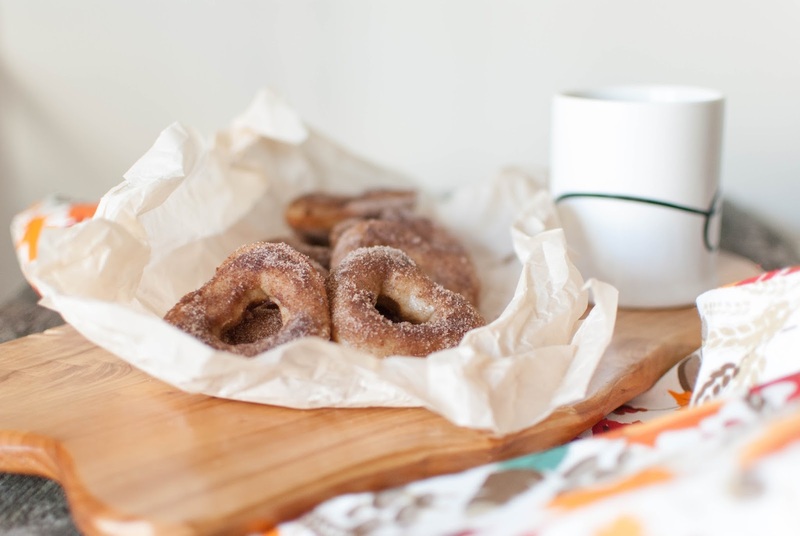 In a flat-bottomed bowl or on a large plate, mix together cinnamon and sugar. It's worth noting that these are best right out of the oven, much like you get them from the apple orchard! Although I did have two for breakfast this morning and zapped them in the microwave for 15 seconds and they were just as great. They won't keep for much longer than 24 hours so enjoy them while they are still fresh! 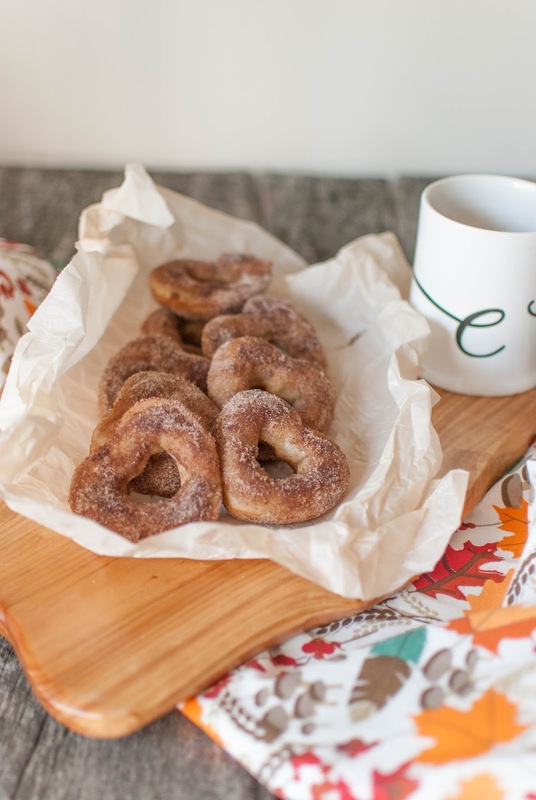 Do you have a favourite fall go-to dessert that you always make? 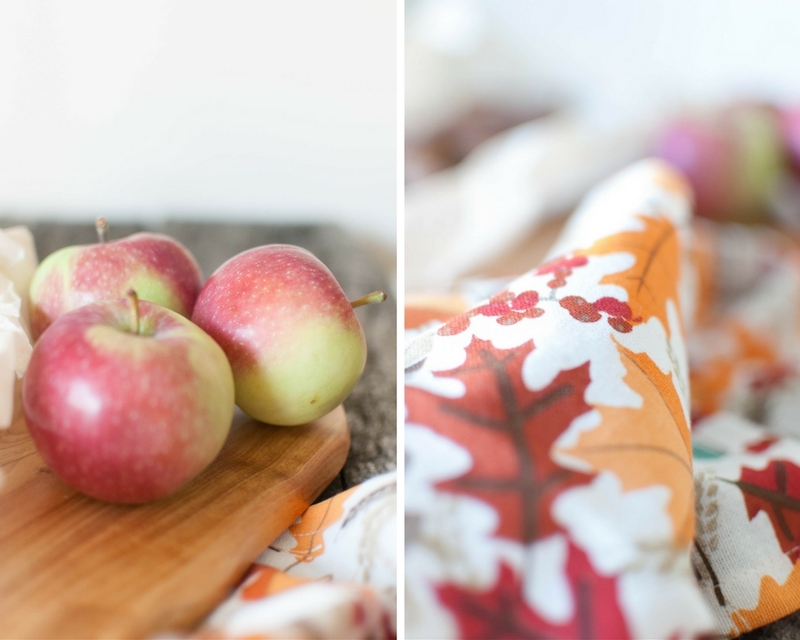 Do you prefer pumpkin or apple? Let me know! Dumb question, ive never heard or seen a doughtnut mould before. Can you just wrap it like a bagel and throw it in the oven? Donut batter is much like cake batter so you need the mould!